Health Dimensions Group (HDG) will be attending the National PACE Association’s 2016 Annual Conference October 23–26 in San Francisco, California. HDG consultants will be presenting at three sessions. Sunday, October 23, 3:00–4:30 p.m.
Lori Aronson and Melissa Van Bruggen will be presenting on the history and financial performance of PACE during the PACE Basics pre-conference workshop. Participants will learn what the PACE model includes, the history and basics of the program, and the financial performance of the model. Participants must be registered for the pre-conference workshop to attend. Tuesday, October 25, 8:00–9:30 p.m. In this presentation, participants will learn about the current enrollment and market penetrations of all operating PACE programs by selected characteristics in order to benchmark realistic enrollment projections; and about the size of the PACE market relative to the total dual eligible market for select states where state policymakers are pursuing statewide expansion. Additionally, participants will hear a case study of how an operational PACE program used a demographic and market study to guide PACE expansion. Wednesday, October 26, 9:30–10:00 a.m. The presenters will describe how to implement performance tracking for internal and/or external benchmarking purposes. The session will also identify two areas where uniform tools can help guide decision-making related to service utilization. At the end of the session, participants will be able to identify the “four rights” of care management. For more information about the conference, visit www.npaonline.org/education/conferences; and check out conference activities on Twitter using hashtag #NPA2016AC and at @HDGConsulting; @colin_higgins77; @lori_aronson; and @VanVanbruggen. This entry is filed under Events, News. 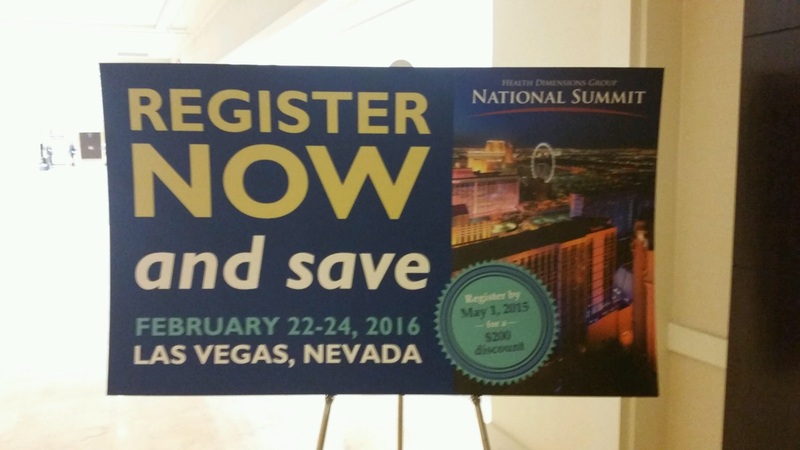 Health Dimensions Group’s 5th annual National Summit got off to a great start! We’ve been so excited for this conference and today was just the beginning. Joseph R. Lupica, JD, chairman at Newpoint Healthcare Advisors, gave this year’s keynote on the merger movement in today’s health systems. The importance of integration and collaboration across different provider organizations in the merger frenzy that is occurring was emphasized throughout the keynote. His expert perspective was a great way to kick off all that we have planned this year. The day didn’t stop there. We were treated to an engaging and informational discussion from panelists John Capsso, Carol McKinley, Kimberly Post, Camille Haycock, and Robert Wieland. The panel covered the implications of health system mergers for post-acute and senior care providers. It was great to hear from so many different perspectives. It’s why we love hosting panels each year; they offer a spectrum of insights all in one discussion. This years panelists reinforced the importance of collaboration that was discussed in the keynote. Many great questions were fielded and the speakers promised to dive into greater detail tomorrow. Day 1 wrapped up with our must-attend welcome poolside reception. Spirits were high as we sipped some beverages and enjoyed some delicious food. 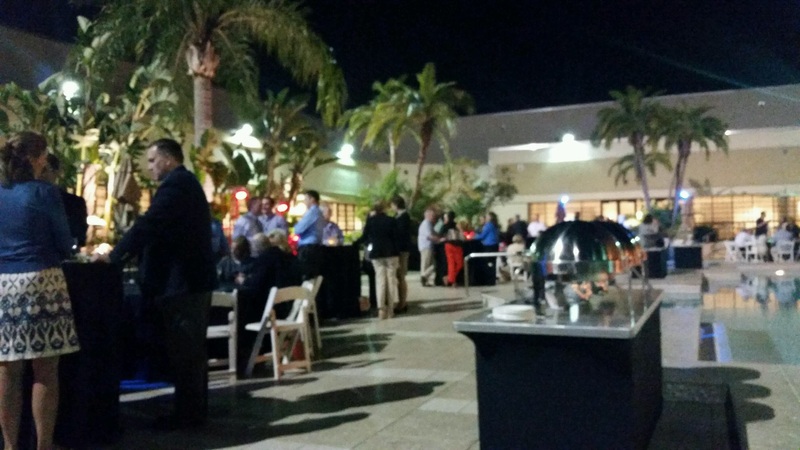 The reception also provided the perfect place to network with other professionals in the industry. As we come to a close, all we can say is we’re ready for Day 2. We’re looking forward to a chocked full day of great speakers, great food (don’t forget about breakfast with our sponsors!) and making even more great connections.